The historic entrance to Mandraki harbour in Rhodes. 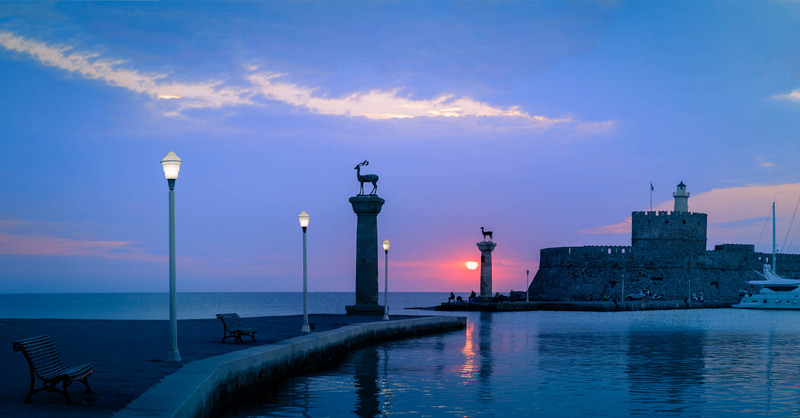 This is where one of the seven wonders of the ancient world was believed to have stood The Colossus of Rhodes. I captured this image in the near deserted village of Stefanos Greece. The village is located on the edge of the Stefanos volcano on the island of Nisyros in the South Aegean Greece. Over the years the village had almost been vacated entirely due to the volcano but a few people still remain. One such brave resident was this lady whom I unfortunately did not get the chance to speak too. She was blind and lived alone in her home above the crater with her herd of Goats. As we approached the location and the scene in front of us unfolded someone described it as being biblical which I think was a perfect description. Today was one of those morning where everything seems to work for you seamlessly and you come away feeling blessed. I arrived at Lyndos village pre dawn to capture a couple of locations and came across this stunning side street with a beautiful white washed church and the sunrise lit bay behind. As I finished the image a street cleaner arrived jet washing the cobbles adding an even better surface for the dawn light to bounce off. I decided to reshoot the image again especially as the colours had further intensified from the rising sun. A fabulous morning of exploring and shooting some stunning locations. 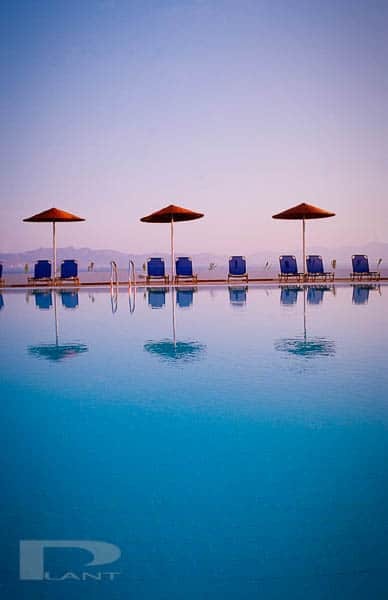 My wife and I purchased a holiday home in Turkey 8 years ago and so I have traveled to the Bodrum area of Turkey a fair bit. On one such “Working Trip” (as I tell my wife) myself with several of my friends popped across to the beautiful Greek island of Kos for the day.It was during a tour around the Castle that I was drawn to this delightful man called George who was offering his services as a tour guide. I knew straight away I had to photograph him so I sat out of the blistering May heat on a marble bench with him and struck up a conversation. I mentioned we where over from Turkey where I had a home and he got slightly animated telling me why you should not trust the Turks ! It’s no secret there is a lot historic bad blood between the Greeks & the Turks and being in his 80’s he had obviously see a lot of it. We continued to chat before my friends caught me up, so I captured his portrait and we said our goodbye’s. I adore meeting,chatting and photographing people like George after all they have been there seen it and done it all. If you ever find yourself on Kos keep an eye out for George although I suspect he might no longer be with us. 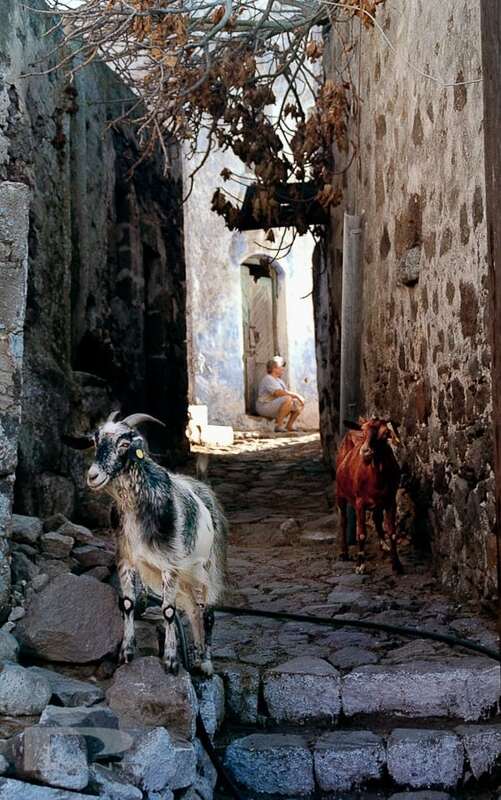 Captured on the edge of the Stephanos Volcano on the island of Nisyros.An elderly blind woman sits in the late afternoon sun on the doorstep of her home with goats running wild.